The Rumjacks are a celtic punk band out of Sydney, Australia. Australia isn’t exactly known far and wide for its celtic punk scene, but that doesn’t stop these four boys from making a mighty impressive racket within the genre. They also sound like they could’ve come fresh off the rainy streets of Dublin itself. They’ve been at it seven years this year and over the course of a few albums and a handful of EP’s, they’ve assembled a fine discography thus far. 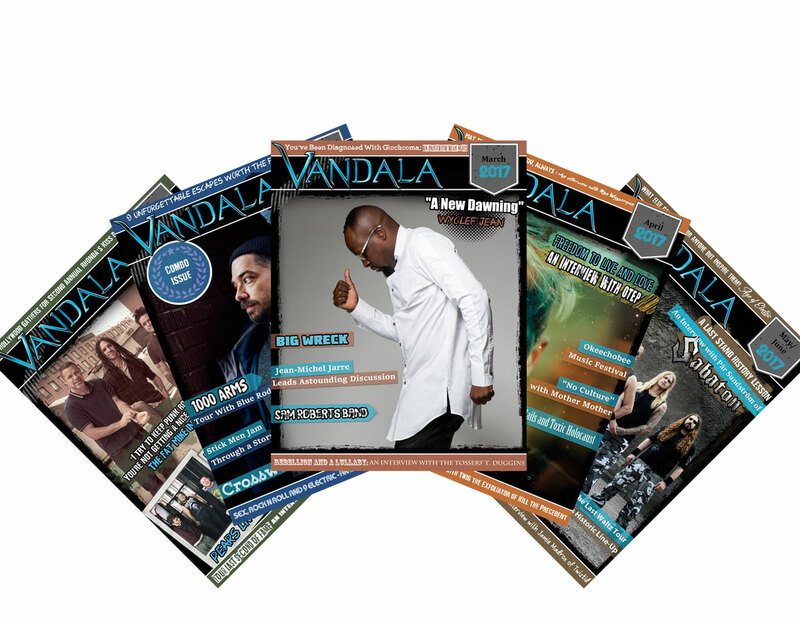 Which most recently includes ‘Sober & Godless.’ An album of fourteen upstart celtic folk, rock and punk tunes. So, in honour of St. Paddy’s Day this month, as well as the fact that the album cover legitimately deserves it, the cover pick this month is The Rumjack’s ‘Sober & Godless.’ I don’t know what two dragons with their tongues wrapped around each other have to do with being sober and godless, but it’s a cool image at any rate. Very much of the traditional tattoo vibe, which should go over well with fans in this tatty obsessed day and age. The colours are also bold and striking and have a hellish feel, which may tie into the title in that way. The cover art is courtesy of mister Frankie McLaughlin, the band’s vocalist/tin whistle player. He does a bunch of the band’s art for shirts and flyers and album covers. Which is cool. For my money, ‘Sober & Godless’ is the band’s best album so far and the cover art that accompanies it provides a suitably striking partnership with the music it houses. 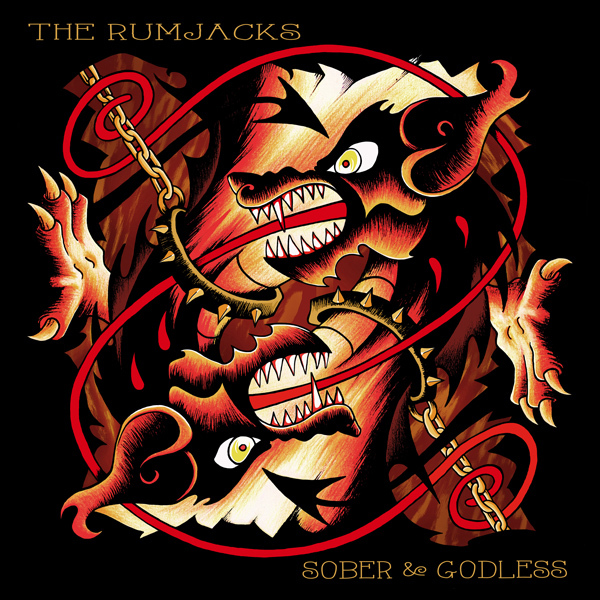 With St. Paddy’s Day right around the corner, it’s a good time to polish up on your celtic folk punk, and The Rumjacks’ ‘Sober & Godless’ is a fine place to start.